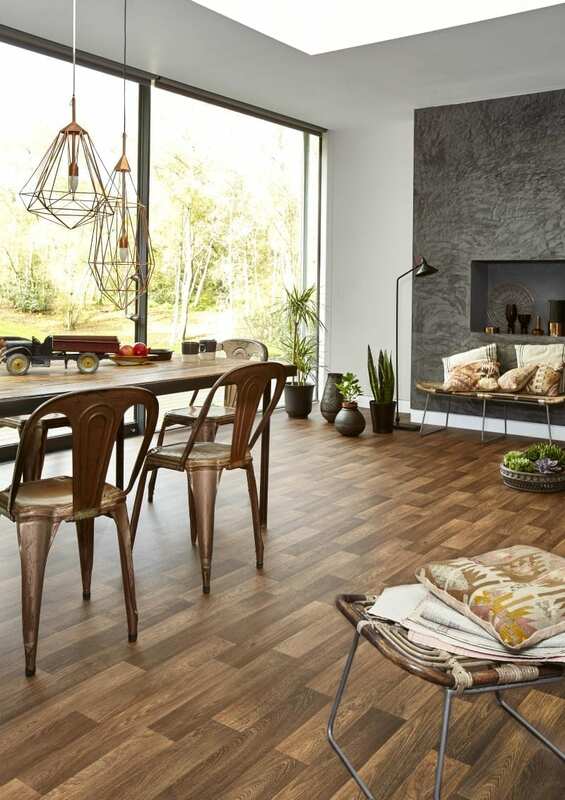 Want to know what’s happening in the world of flooring? Needing to replace some carpets or doing an upgrade at home? Well look no further for some ideas. These images are all from the Carpetright Look Book For Autumn/Winter 2015, but to be fair many of these looks are around right now. I think it’s fair to say, people are definitely experimenting more with their flooring so it’s worth looking around and doing some research on what works, and what could look great in your home. I’m totally impressed by how cool vinyl flooring looks now. Who wouldn’t want this in their living space? I appreciate it’s not wood, but if you’re looking for a less expensive option, one that’s warmer underfoot, and easier to keep clean when you have children, then this is for you. 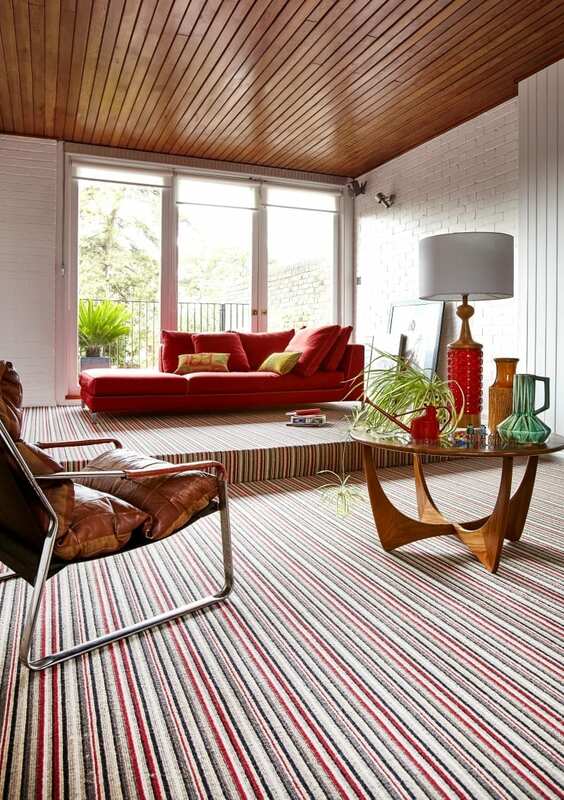 The trend for colourful carpets is really gaining some momentum now, and it’s about time. I’m still in love with my neutral shades, but love the idea of adding colour to my home through the flooring. This pink is a lovely look to pair with Dulux’ Colour of the Year – Copper Blush. And of course, with metallic home accessories that are everywhere this year. To be honest, I think that striped carpet is a hard look to pull off. 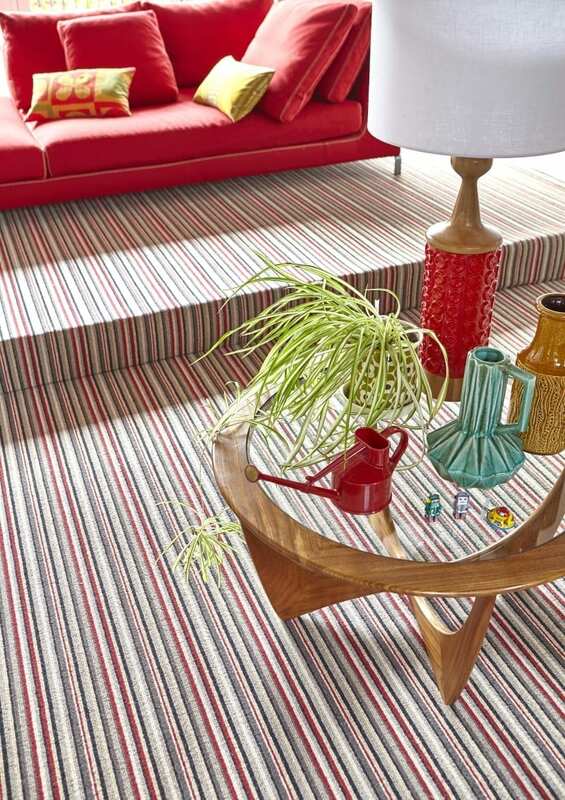 In older homes, like mine, if the walls and floors aren’t straight, then the look of a wonky striped carpet isn’t going to be a good one. 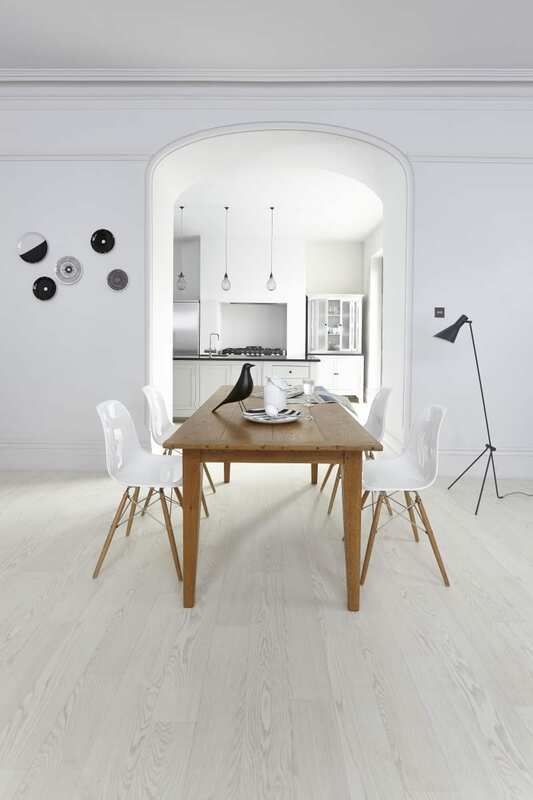 However, if you live in a modern home, where everything is straight, this style can work well. And it’s an incredible way to make a design statement and create a focal point in your home. Stripes on stairs is still a really popular look, and looks contemporary and inspiring. 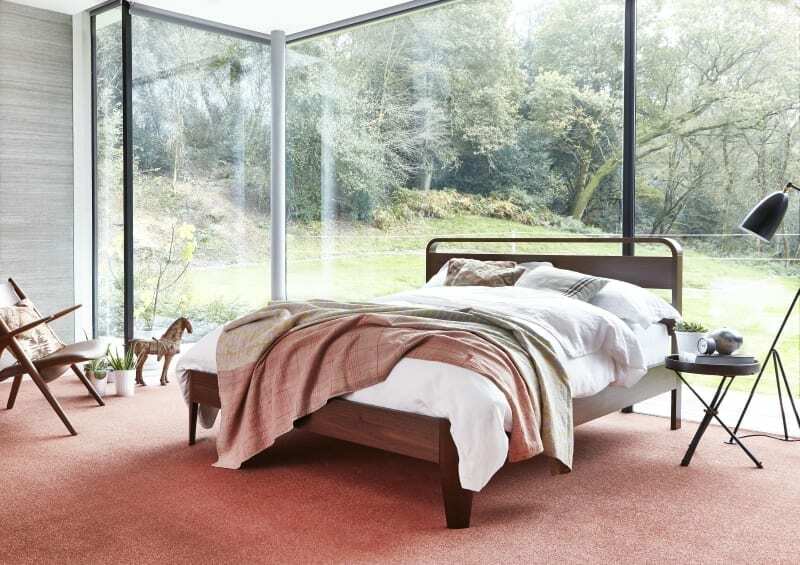 Pick out one of the key colours from the carpet, and use as an accent in accessories or on the walls. I love the chairs and lights in the first photo, where do they come from? I hate the idea of coloured carpets returning! 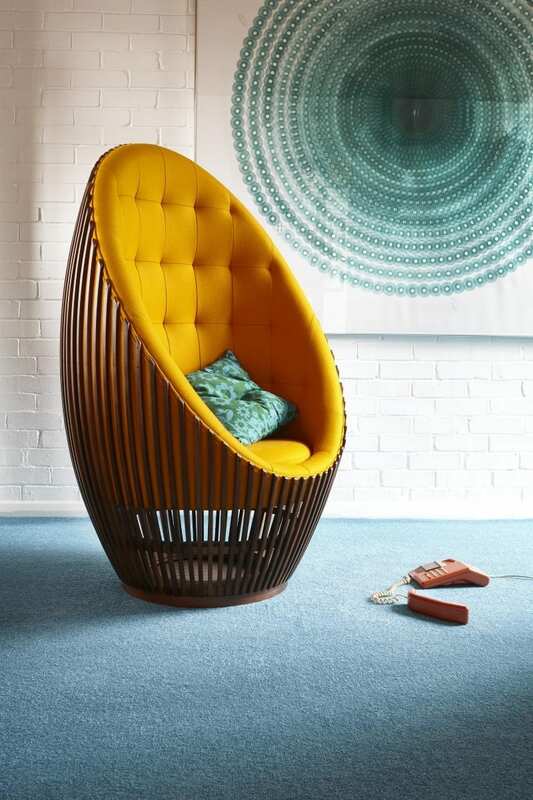 Hi Jen, I’m wondering where lights in the first image and the oval slatted chair with the yellow cushion come from? Thank you! I love your blog, this is my first time posting but I’ve followed you for ages!